Kuala Lumpur, Oct 12 (IANS) Indias golfer Anirban Lahiri fired a five-under 67 opening round to be eighth at the $7 million CIMB Classic on Thursday. The Indian scored six birdies against a bogey on the par-four first hole to share the eighth place with Thailand’s Phachara Khongwatmai, American Brendan Steele, Davis Love III, Spain’s Rafa Cabrera Bello and South Korea’s Sung Kang. They are three shots behind Australian leader, Cameron Smith, who scored a brilliant 64 at the TPC Kuala Lumpur, said an Asian tour release. Thailand’s Poom Saksansin made an early statement by opening with a flawless 65 to take a share of second place with the United States pair of Bradley Keegan and Xander Schauffele. 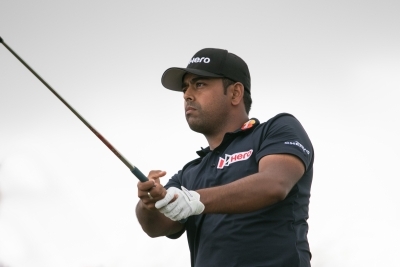 While disappointed with his first round efforts which he put down to his putting, Lahiri is hopeful of closing the gap when the second round commences. “I am so disappointed, honestly. I feel like I should have closed two or three shots better, but it’s a good score to start and I’ll have to go on from here,” Lahiri said.